Russia's Zelenodolsk Shipyard will launch a fourth Modified Gepard (Project 11661E)-class guided-missile frigate on order for the People's Army of Vietnam (PAVN) Navy on 25 May, the country's TASS news agency reported on 17 May, citing company CEO Renat Mistakhov. The platform's third-in-class, which is also the first anti-submarine warfare (ASW) variant, was launched in April 2016. The PAVN Navy commissioned its first two Modified Gepad-class ships, Dinh Tien Hoang (HQ 011) and Ly Thai Ho (HQ 012), in March and August 2011 respectively. 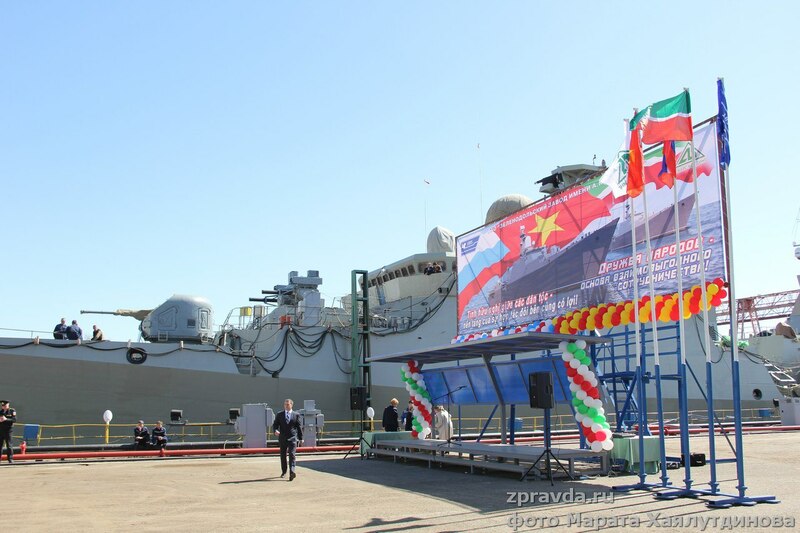 The two frigates under construction are expected to be delivered in August and September 2016 respectively, said Mistakhov. Vietnam tidak beli senjata dari RRT, ya? Bagaimana perbandingan Gepard (Project 11661E) dgn PKR (Sigma 10514) ya? Kan vietnam sedang bermasalah dgn cina terkait laut cina selatan plus sejarahnya memang pernah bertikai mengenai perbatasan di thn 70an dan invasi ke kamboja yg notabene kmer merah phamnya moisme..
fregat lebih dibandingkan korvet...dari segi weaponry, cruising dan dimension... vietnam membutuhkan gepard karena eskalasi konflik di laut china selatan dgn rrc dimana vietnam merupakan salah satu aktor dalam theatre tsb..